Box Office Collections Day 6: Individually the collections of the three new releases may have been on the lower side. However if one sees overall footfalls then the scenario is a little better as over 30 crores have already come in the last six days. Not that this is a huge number either but still given the fact that there are a few weeks when not even 10 crores are collected at the Box Office, this is still a better state for Bollywood to be in. Mulk continues to stay stable as 1.20 crores* more came on Wednesday, hence resulting in the sum total of 11.86 crores*. This is the only release of the week which is at least being talked about with debates going on in quite a few circles. As for Karwaan, it is quietly bringing on some sort of numbers. The film stayed over the 1 crore mark again to collect 1.10 crores*. Currently standing at 11.50 crores*, one waits to see how exhibitors plan to showcase it in the second week. Kareena Kapoor Khan & Arjun Kapoor To Star In Anurag Basu’s Life In A Metro Sequel? On the other hand it would be pretty much game over for Fanney Khan as collections are staying way too low. The film collected 0.65 crores* on Wednesday and that has resulted in 9.35 crores* coming in. It would struggle to enter double digits even after a one week run. 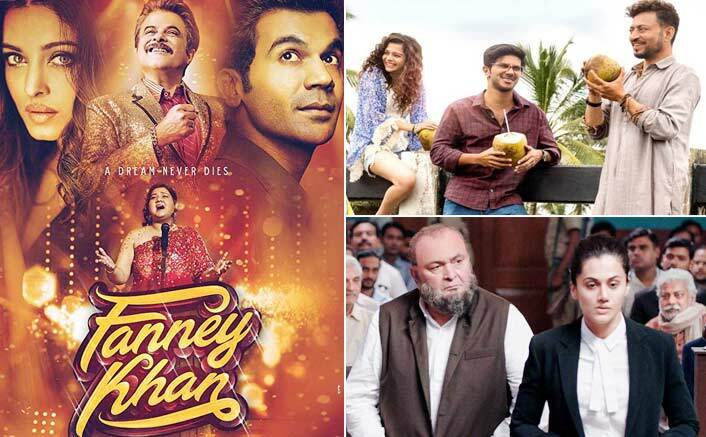 The post Box Office Collections Day 6: Mulk, Karwaan, Fanney Khan – Wednesday Updates! appeared first on Koimoi.